A young woman came to see me, as most seeking counseling do, because she was at the end of her rope. What had begun a year earlier as mild depression had sunk deeper and deeper until she found herself contemplating suicide. We met for many weeks, and I came to know a delightful woman with a poet’s heart, whose soul was buried beneath years not so much of tragedy but of neglect. This one particular afternoon, we had spoken for more than an hour of how deeply she longed for love, how almost completely ignored and misunderstood she felt her entire life. It was a tender, honest, and deeply moving session. As our time drew to a close, I asked her if she would pray with me. I could hardly believe what came next. She assumed a rather bland, religious tone to her voice and said something to the effect of “God, thank you for being here. Show me what I ought to do.” I found myself speechless. You’ve got to be kidding me, I thought. That’s not how you feel at all. I know your heart’s true cry. You are far more desperate than that. 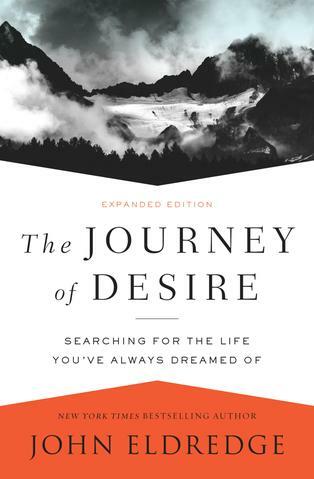 Why are we so embarrassed by our desire? Why do we pretend that we’re doing fine, thank you, that we don’t need a thing? The persistent widow wasn’t too proud to seek help. Neither was the psalmist. Their humility allowed them to express their desire. How little we come to God with what really matters to us. How rare it is that we even admit it to ourselves. We don’t pray like Jesus because we don’t allow ourselves to be nearly so alive. We don’t allow ourselves to feel how desperate our situation truly is. We sense that our desire will undo us if we let it rise up in all its fullness. Wouldn’t it be better to bury the disappointment and the yearning and just get on with life? As Larry Crabb has pointed out, pretending seems a much more reliable road to Christian maturity. The only price we pay is a loss of soul, of communion with God, a loss of direction, and a loss of hope.